After a stagnant period for financial advisor compensation, salaries and overall remuneration packages finally began to see an upturn in 2017. This new direction comes in response to a maturing Registered Investment Advisor (RIA) industry, and an ensuing era of growth for individual advisory firms. The long span of speculation about when compensation trends for RIA staff members would begin to see growth has finally come to an end, and the compensatory response to a tightening market is now in session. In light of industry growth, current talent in the financial planning market is growing short, while existing talent is beginning to age out of the market. As the RIA workforce increases in tenure, there is a limitation in next-generation replacements. As the demand for registered investment advisors staff increases, some financial advisory firms in major metropolitan areas are having a difficult time filling the resultant staff positions for support advisors, associate advisors and senior advisors. Although salaries vary, the standard base salary tends to land between 80 percent to 90 percent of the total compensation. The additional 10 percent to 20 percent of income is generated from bonuses or other incentives. The majority of firms awarded annual bonuses based on best practices; a mix of discretionary decision-making and a formalized plan. Geographic differences also account for disparities in compensation. For example, whereas New York and sunny San Francisco lead the race with the highest total compensation in 2016 for several key executive roles, Seattle, Dallas, Philadelphia and Chicago remain the lowest. As the need for new talent grows more competitive, the shrinking number of human assets has compelled RIA firms to keep up with compensation trends, and in many cases outpace the industry standards to entice and capture top talent. 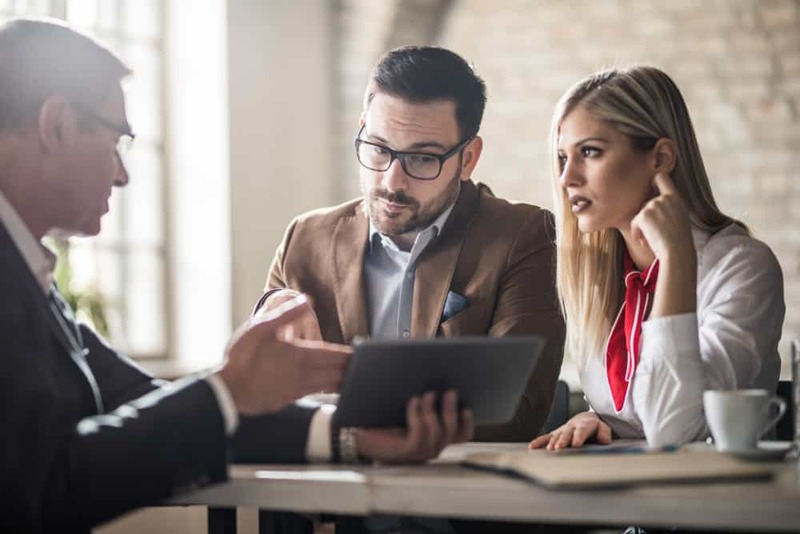 According to recent data, experienced financial planners can garner up to $94,000 per year with eight years of experience, and support advisors with over four years of experience can earn $65,000 per year. Senior advisors are earning $165,000 to $250,000 per year, and the top practicing partners are raking in up to half a million each year. Long-term incentives (profit-sharing and 401(k)). In a 2017 Fidelity Clearing & Custody Solutions study, over 90 percent of participating RIAs reported providing employees with bonuses and salary increases, and half reporting increases above the national average. A total of 90 percent of surveyed RIA participants awarded bonuses for 2016 performance, and just over half of these firms offered profit-sharing incentives. Nearly all RIA and MFO firms offered some form of retirement benefits. Generally, all companies offer a 401(k) and provide a standard 3 percent to 4 percent match. Profit-sharing is less common, with half of surveyed firms offering a profit-sharing program with an average 3 percent contribution. Although many benefits are getting a boost in response to the dwindling talent market, executive-level benefits are still not as common in large RIA and MFO firms as in some other industries. Notably, the company car is a rare sight in the industry, as only 19 percent of surveyed RIA and MFO firms offered a company car or allowance, and 42 percent of other U.S. companies provided their executives with this benefit. On the other hand, long-term incentives are common, as almost 65 percent of RIAs and MFOs using these incentives to keep employees hooked and baited. The vehicles for these investments include operating company equity, co-investment opportunities, carried interest, deferred incentive compensation, phantom equity and leverage. Most popular is the use of company equity and phantom equity, which accounted for almost 70 percent of the long-term investment options used. In response to a dwindling talent pool, these firms have begun to increase their focus on capturing new talent and attempting new tactics to retain their existing staff members. By adding compensation packages to match – and often outcompete – the current market trend, RIA leaders can hope to hold on to their share of existing talent. As investment firms now focus on compensation strategies to attract and retain a diminishing human capital and the demand for advisors increases, the annual salary increases must remain competitive, and firms must come to the table with a new standard of compensation packages that include 401(k) and profit-sharing plans, enticing bonus structures and other compelling financial offerings. To stand out and excel at staff retention efforts, there must be big compensation packages waiting in the wings.